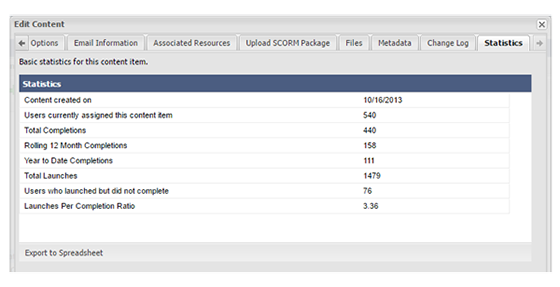 Hello and welcome to the TraCorp LMS Developer update! 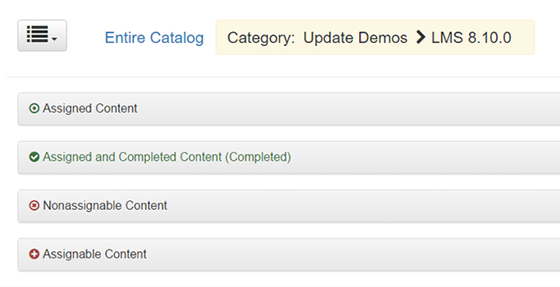 You’ve probably noticed that we update your LMS several times a year, but what you might not notice is what’s included in those updates. Each update includes modifications, optimizations, and bug fixes. It’s easy to miss these implementations if you didn’t request the modification or report the bug that needed fixing. With this issue, we will share several new LMS features and bugs we are happy to report as fixed. 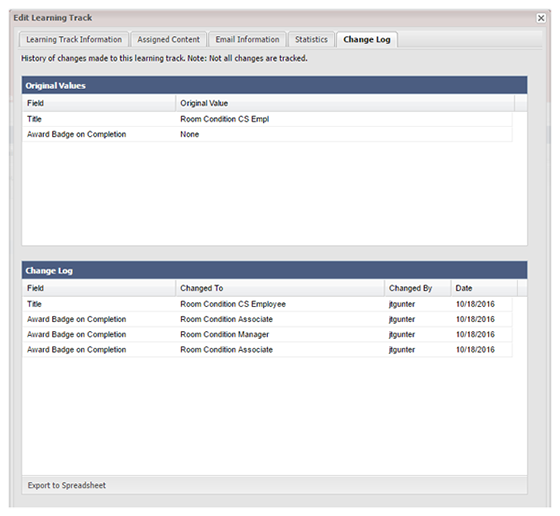 To make the content page on the student interface a little more informative, we added a few symbols to the content items. 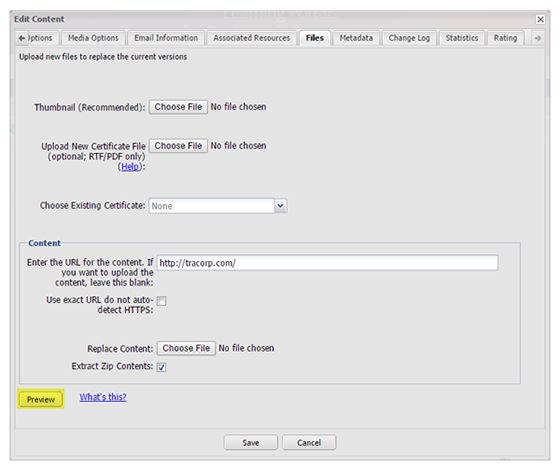 Originally, the LMS allowed users to save auto-assignment rules, even if there was an error in the syntax. As a companion to the Check Syntax button, users are no longer allowed to save user groups if the auto-assignment rule will cause a database error that prevents auto-assignments from running. Woo-hoo! Sometimes, when your system is maintained and operated by several people, it is harder to keep track of who changes what. 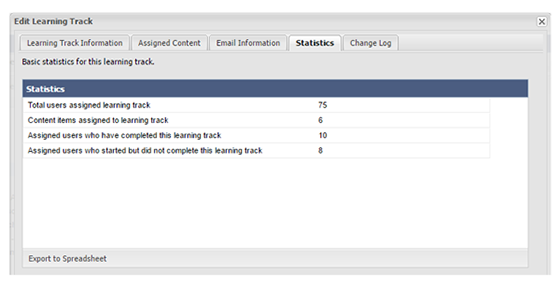 For this reason, we created the Learning Track Change Log. The name is self-explanatory, but check it out for yourself. Options! Everyone loves options. 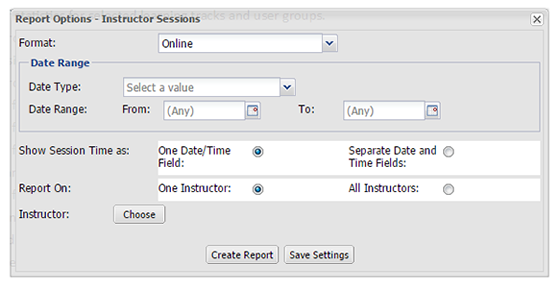 Now users who generate reports can split the date and time into separate columns, and create a report that includes all instructors! 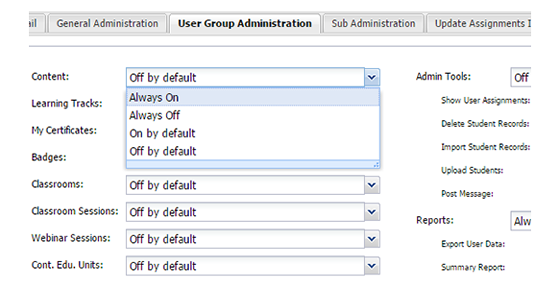 We’ve made it easier to control the settings for your administrators. In respect of the idea of giving more control to UGAs while still having control, there are now four options for settings. Always On, Always Off, On by default, and Off by default. In closing, we want to take a few moments to talk to you about our LMS team. As you may or may not know, JT Gunter accepted a position at one of our largest customers. It’s very rare that an employee leaves our organization and remains so actively involved. Lucky for us, we still see JT a few times a month as a contributor and a community member who is now driving future development. With JT’s departure, you might be wondering who to contact about your LMS needs. We’re all happy to help point you in the right direction, but as a rule of thumb, Tobi Schermuly can be contacted about all LMS modification ideas/needs; Mike Gibson can be contacted about all training needs; and Tim Schermuly and Scott Haney, at the help desk, can be contacted about everything else. If you haven’t met Scott yet, he’s sharp, patient and eager to learn about your unique interaction/need for our LMS.